"Lady Gaga is a prostitute and Satan worshipper." Hurray! 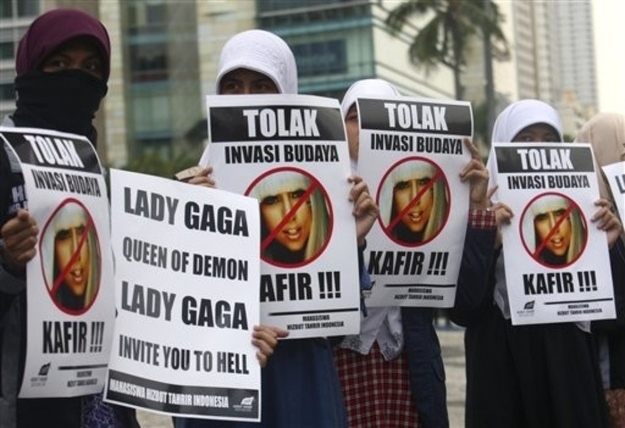 More protest photos from Jakarta can be found at Buzzfeed.